After so many years, tile and grout tend to take on a darker, dirtier color. It seems like no matter how much you clean and mop, the discoloration only worsens as more time passes. Perhaps you are not using the best practices for cleaning tile and grout. 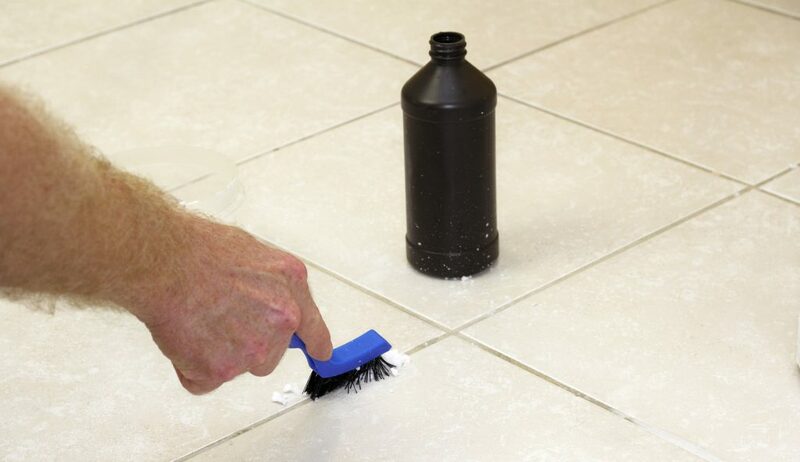 Continue reading to learn how to effectively lighten and brighten tile and grout using the proper cleaning methods and solutions. Proper tile and grout cleaning doesn’t just improve the color of your flooring, it also improves quality, which in turn, improves performance and longevity. So you can see how vital floor care is to your overall investment. One of the most important things you can do to restore and maintain your tile flooring is to use the appropriate methods and techniques. This is true for all flooring materials. You always want to make sure that you are implementing the proper methods and using the proper supplies and solutions; otherwise, you can risk damaging your floors even more, which may leave you in need of professional tile and grout renovation or replacement. It is easier to maintain the color and shine of tile than grout. Over time, dirt will collect in the grooves of your tile flooring, making your floors appear old and worn. In other areas of the property, such as bathrooms and basements, mold can also begin to accumulate. Dirt and mold are a bad combination for any type of flooring, especially when in the grout. Getting rid of these issues can be tricky, which is why it is vital to practice the best methods for tile and grout cleaning if you want to achieve the best possible results. The most common and effective cleaning agent used to clean tile and grout is powder oxygen bleach. AJAX® and Clorox ® are examples of popular powder oxygen bleach brands. This product is non-toxic and will not cause heavy fumes, health implications, or color fading. Although not toxic, it is still advised to use extreme caution when dealing with any type of bleach products. Powdered oxygenated bleach removes grease and food stains relatively easy. It is a great solution to restoring dark, dirty grout lines with little effort. Simply mix the powdered bleach with warm water and disperse in onto the grout and floor. Allow this solution to soak for at least fifteen minutes before using a thick bristled brush to scrub it clean. Continue to pour the solution and repeat these steps until the mixture is gone and you have scrubbed every square inch of the floor and grout. Allow the floor to dry for five to eight hours to see the finished results. During the process of grout cleaning, floor tiles also get a minimal cleansing. This cleansing, however, is usually not sufficient enough. To clean the tiles, use the same solution for the grout, and use a mop to apply and clean the tiles. Then just rinse it away with clean water! This is an easier strategy to clean tile flooring without using heavy floor cleaning machines. If you are interested in a non-toxic cleaner for tile and grout, consider making your own solution using vinegar or baking soda. If you are worried about vinegar being too harsh, just match its quantity with an equal amount of water; then the potential for acid damage is greatly reduced. Alternatively, when using a baking soda mix, be sure to use a small amount of water to create a paste, and then vigorously apply the paste to the grout with a heavy-bristled brush. Allow it to sit for 30 minutes, and then rinse the residue away with clean water. ✨ Special Tip: For an even deeper clean, you can rent a steam cleaner to loosen the dirt and debris from your grout and tile. Afterwards, proceed with your choice of cleaning method and product to finish the job! 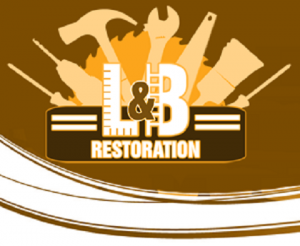 Restoration By L&B, LLC offers superior tile floor installation and replacement for both residential and commercial properties in Indianapolis and its surrounding towns. Whether you are a home or building owner, our qualified and insured general contractors can provide a wide-range of tile flooring services; including replacements, removal, repairs, installations, and more. You name it, we can do it! Best of all, we offer the most competitive pricing around! Contact us at 317-454-3612 to request an estimate, today. This entry was posted in Flooring Repair and Installation and tagged cleaning grout, grout cleaning tips, powder oxygen bleach tips, regrouting services Indianapolis, tile floor replacement Indianapolis. Bookmark the permalink.